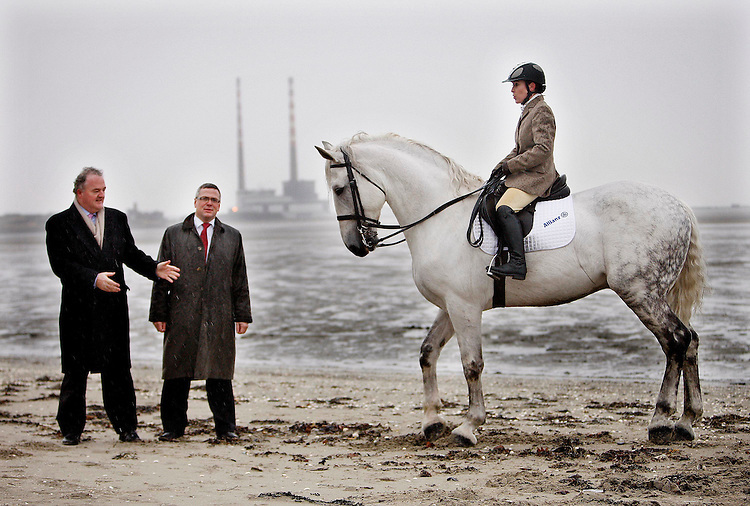 no fee for repro..Show Jumping Horse, Hawkland Silver Prince and rider Nicola Perrin pictured here on Sandymount Beach, Dublin with Brendan Murphy, CEO of Allianz (left) and Sean McGrath, Allianz (centre) at the launch of the companies new horse and rider insurance and their sponsorship of Kill Equestrian Centre in Co. Kildare. Pic. Robbie Reynolds.